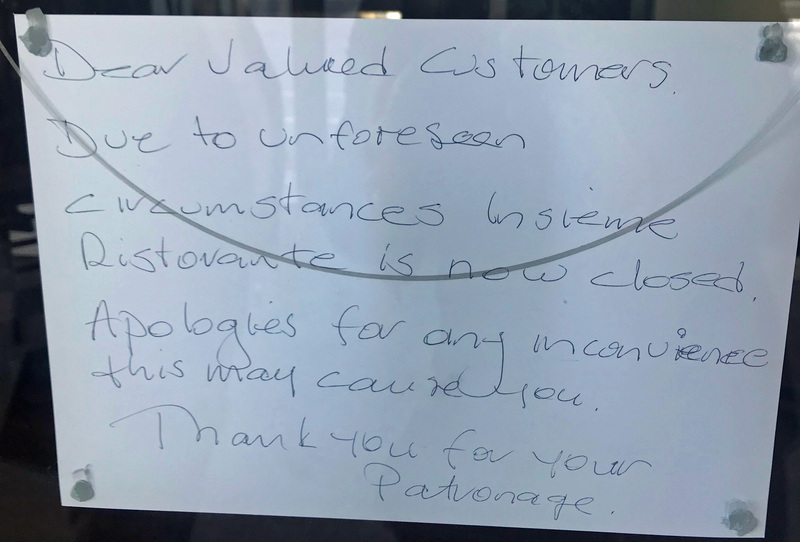 Closure notices have been placed on the windows of Insieme Ristorante on Flinders Street and Cos Restaurant on Leigh Street. A handwritten notice on the door of the central CBD Italian restaurant says the closure is due to unforeseen circumstances. A notice on the window at Insieme Ristorante on Flinders Street in Adelaide’s CBD. 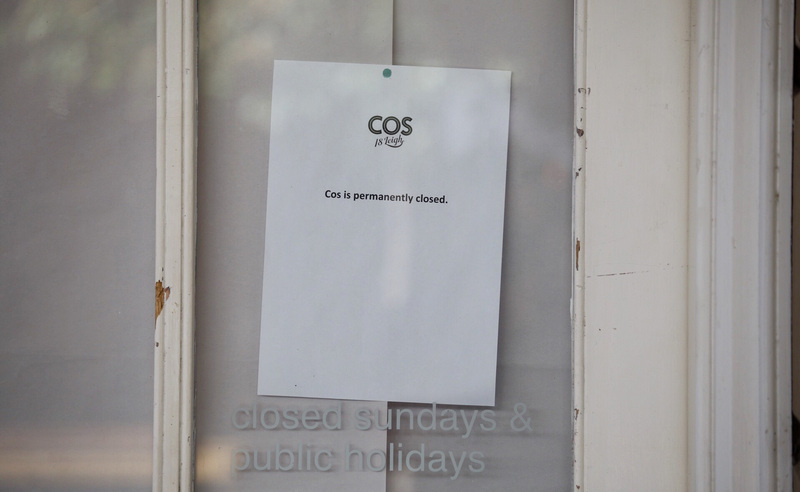 Cos Restaurant also posted a notice, advising that it was permanently closed. The shuttered Leigh Street restaurant is situated metres from Adelaide power restaurant Rigoni’s Bistoro, which was placed under voluntary administration last week and is looking for a buyer. Restaurant and Catering Association deputy CEO Sally Neville told InDaily that although she was not aware of the individual circumstances of the two restaurants, city lunchtime trade is becoming increasingly competitive. “The pace of life and business means that people want a faster, less formal lunch (experience),” said Neville. “There’s still a strong market for business lunches (but) the pressures of business mean there isn’t so much time for those long lunches. She argued that city landlords are sometimes asking more, in rent, from their tenants than the customer base justifies. “There are a lot of restaurants at every price point. InDaily attempted to contact the operators of both restaurants for comment.